to measure current in single-phase, two-phase and three-phase systems. Compact, flexible and lightweight, it is suited to all applications and can be installed in all types of switchboards. 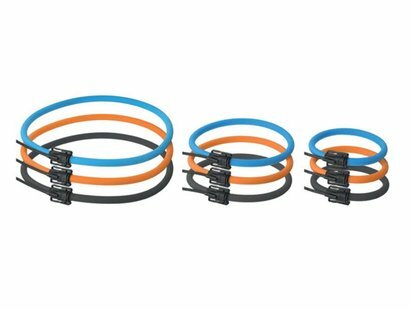 Supplied in a kit made up of three different colored pieces to make phase identification easy, it comes with coils with three different diameters and lengths and measures a wide current interval (from 200 to 4000 A).